Won’t be hard for Zach Aughe to adjust to a college scheme, at least. The Clarkston native and Victory Honda forward has announced his verbal commitment to the University of Maine. 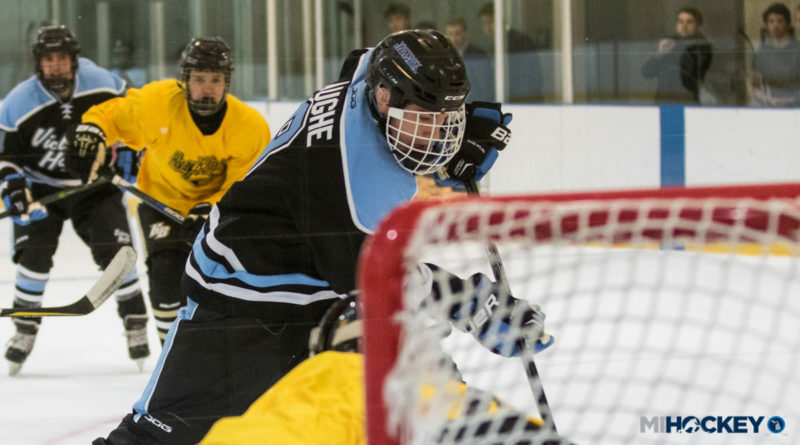 Aughe, a 2000 birth-year forward, has spent the last two seasons with the Victory Honda 18U program. Before that, he played on the Oakland Jr. Grizzlies 13U, 14U, 15-Only and 16U teams. Elite Prospects says he has 22 points in 23 games this season, along with 54 penalty minutes. He said he can’t wait to get out to Orono and start competing for the Black Bears.